There's one group of U.S. voters that appears especially motivated by this year's presidential election -- Spanish speakers. 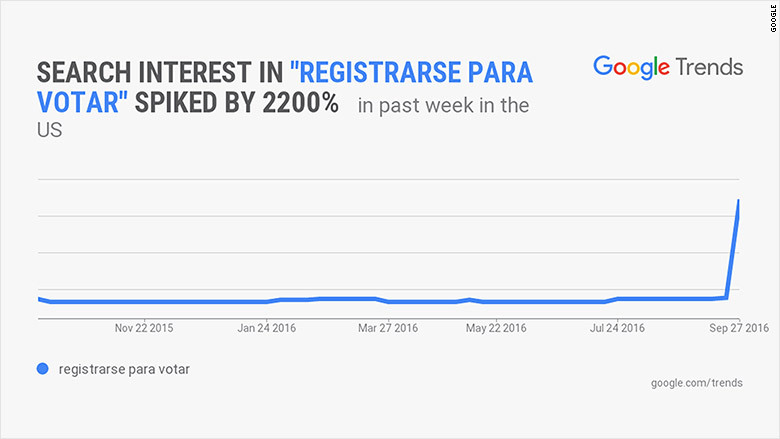 According to Google, searches for the phrase "registrarse para votar" have surged 2200% in the last week. For comparison sake, the English equivalent "register to vote" has gone up only 430% in the same timeframe. It's unclear how much these spikes compare to previous presidential elections. The findings seem to bode well for Democratic nominee Hillary Clinton. A Wall Street Journal/NBC News/Telemundo survey released last week found that Clinton had 65% support among likely Hispanic voters, a 48-point advantage over Republican nominee Donald Trump. His party has struggled with appealing to Hispanic voters. In 2012, Mitt Romney won only 27% of the Hispanic vote. Historically, Latinos have not been well represented in the U.S. electorate. A Pew Research Center survey this year found that only half of Latinos are absolutely certain they are registered to vote. That trails black voters (69%) and white voters (80%). The Pew data also found that immigration is one of the most important issues to Hispanic voters. Trump's immigration policy hasn't helped his cause with those voters. 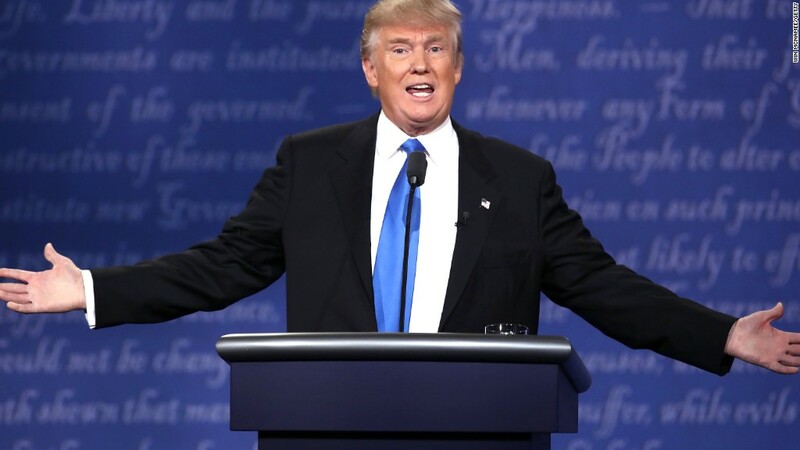 Early this month he reaffirmed that he would offer no amnesty for undocumented migrants, and that a wall would be built on the Mexican border. Google (GOOG) revealed the numbers on National Voter Registration Day. The tech giant is pushing for voter registration and offers state-by-state information on how to register and vote, in both Spanish and English.